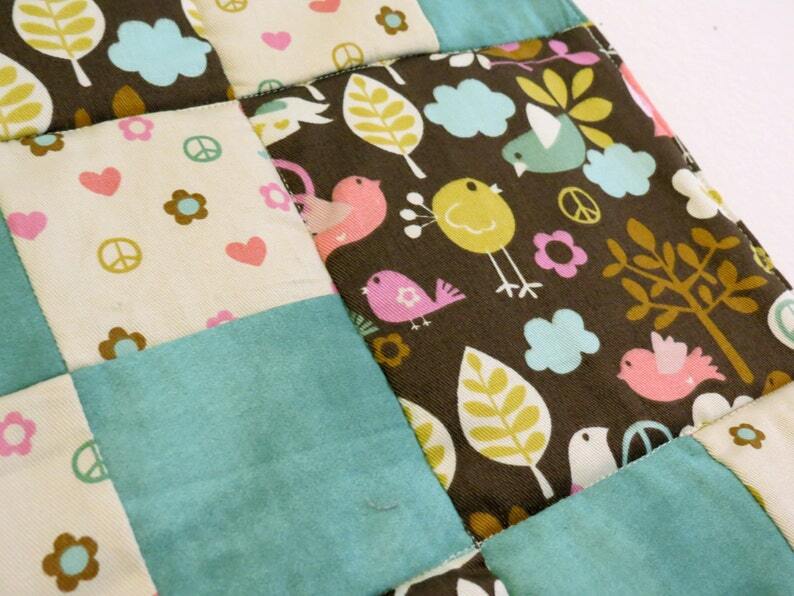 A baby quilt of Tweet Tweet Love & Peace 6" squares surrounded with smaller 3" squares of heart and peace icons and teal fabrics--the perfect gift for a modern newborn baby! The patchwork quilt is backed with golden yellow fleece. Measures about 35" x 35".